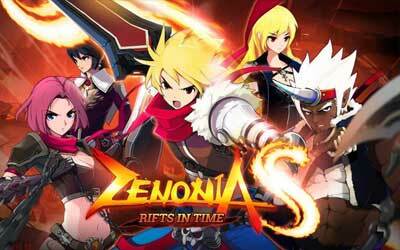 This is old version ZENONIA S: Rifts In Time 2.7.1 apk for Android, you can install it if you want to downgrade or install old app. It is top Role Playing apps from GAMEVIL. This is suggested as you are going to beat all the enemies, so you will get another assistance to help you gain more experiences and levels. This game is now improved by UI design for the latest Android version. Some additions such as raid boss and guild features are now perfectly completed for the new version of the game. You may download it instantly from your mobile phone to join the mobile RPG community. Make sure you have a capable and well-storage phone, so your device will not be getting slower. The good news for you, this game has four stars rating based on several surveys. In case you are curious about the game, you can play it right now as it is totally free. In addition, this app requires in-app purchases which let you buy some special items from this mobile online RPG ZENONIA S: Rifts in Time for Android. Battle monsters, make friends, and punish challengers all from your mobile device. Explore the world of ZENONIA S: Rifts in Time across the nine realms. Test your survival skills in the Monster Wave mode. Choose from your favorite ZENONIA® characters. Awaken your hero and break the limit. Customize you character with over 300 different pieces of equipment.